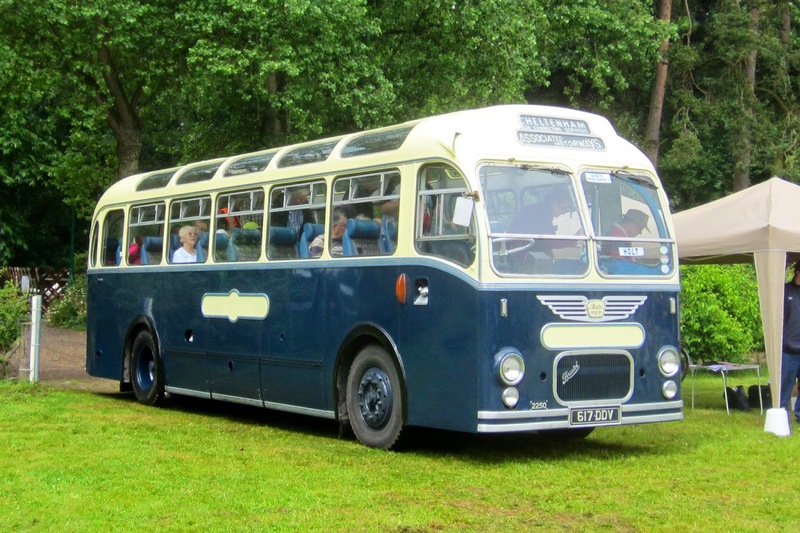 Amongst those buses attending was Ipswich Corporation Park Royal bodied AEC Regent 24 EPV24. Whilst there, we came across this excellent vehicle which I thought you might like to see a photo of!! 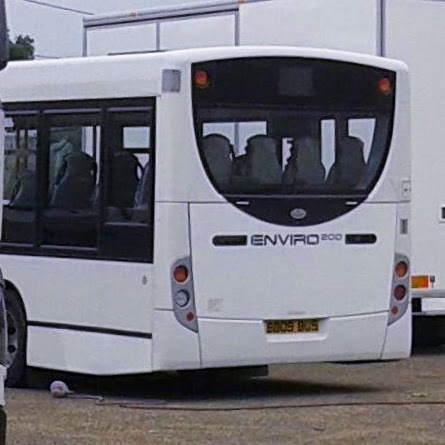 that there is a fourth single decker as Enviro 200 SK07HLU, was seen by eagle eyed Tim Miller lurking in Brands yard in Beccles yesterday. 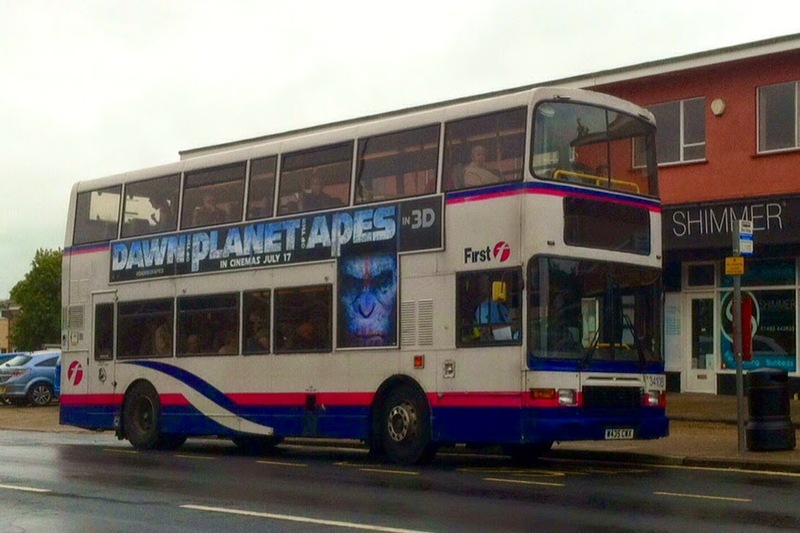 84 between Broad Street, Harleston and Norwich Bus Station. 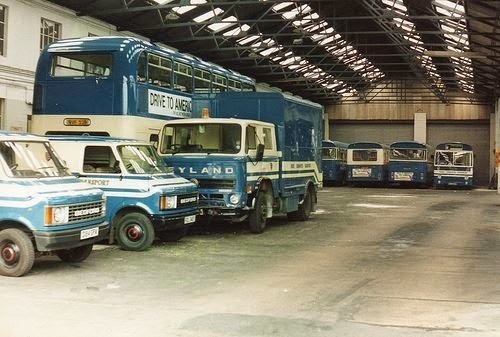 The four day event was an intense logistical exercise in transporting the public to and from the event from the number of railheads in the area. 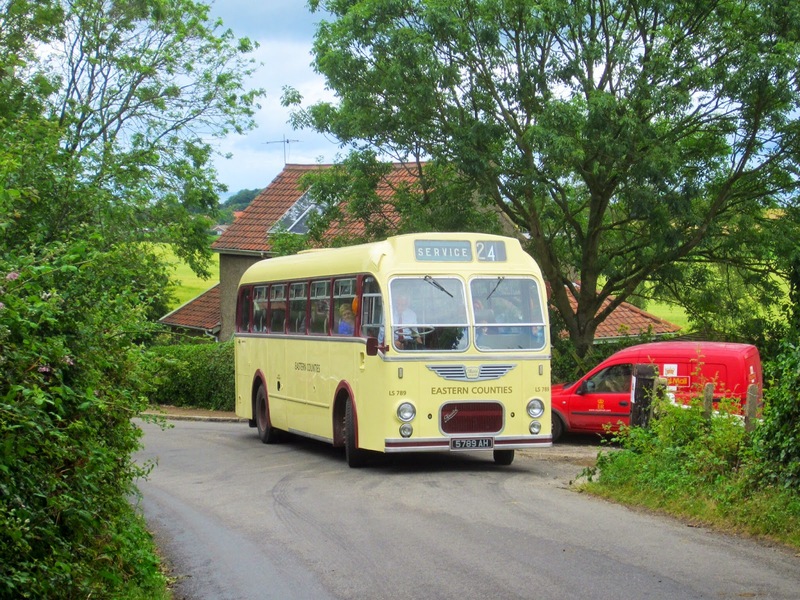 The second Borderbus report in a day - nothing at all then then two arrive together!! 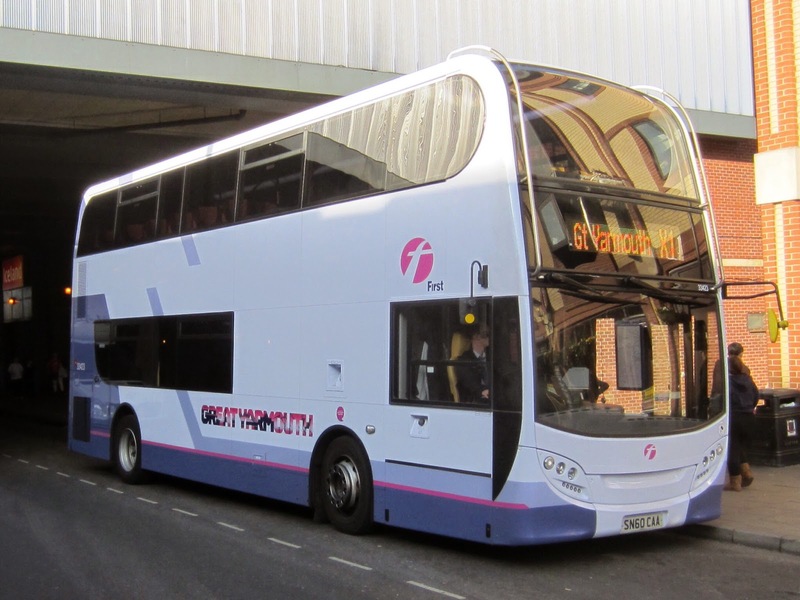 Noted this morning on my way into work was one of the new Enviro Dart arrivals for Borderbus in the shape of BB09BUS. 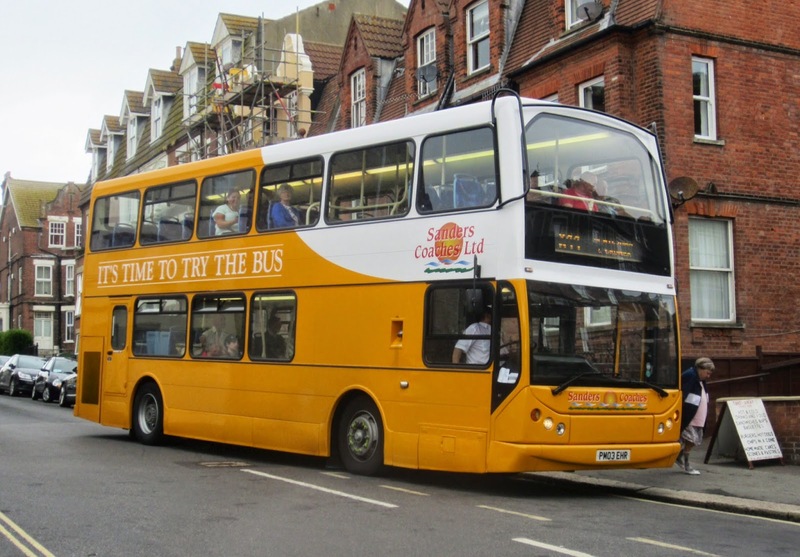 It was working a service to Sir John Leman school which is normally operated by one of their Plaxton President fleet. 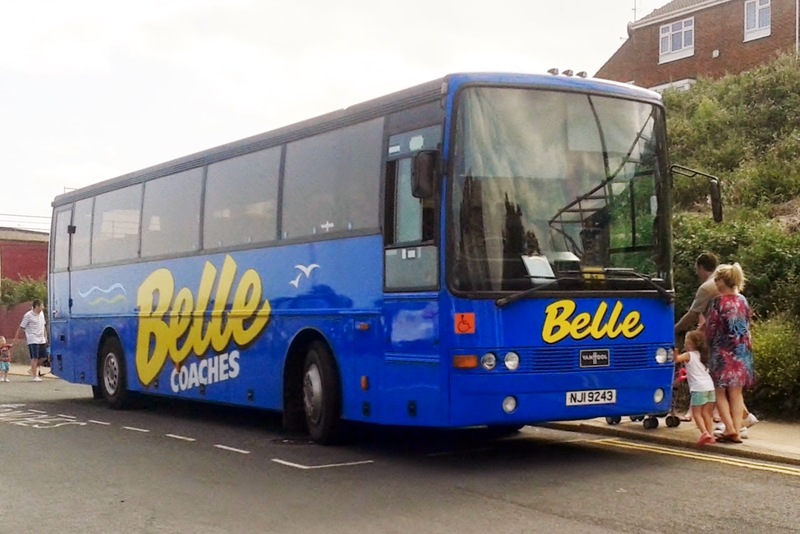 Regular correspondent Jamie Skinner went to catch his bus to Belton at the Magdalen Arms stop in Gorleston this morning when the following appeared! 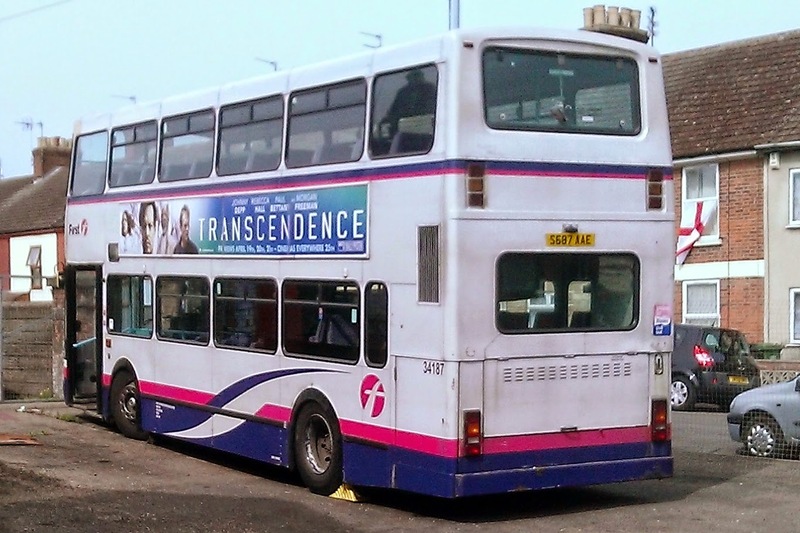 It was First's Volvo Olympian 34114 W434CWX on service 7. After joining the bus, it wasn't long after he had taken his seat when he observed sister 34109 W436CWX heading in the opposite direction. 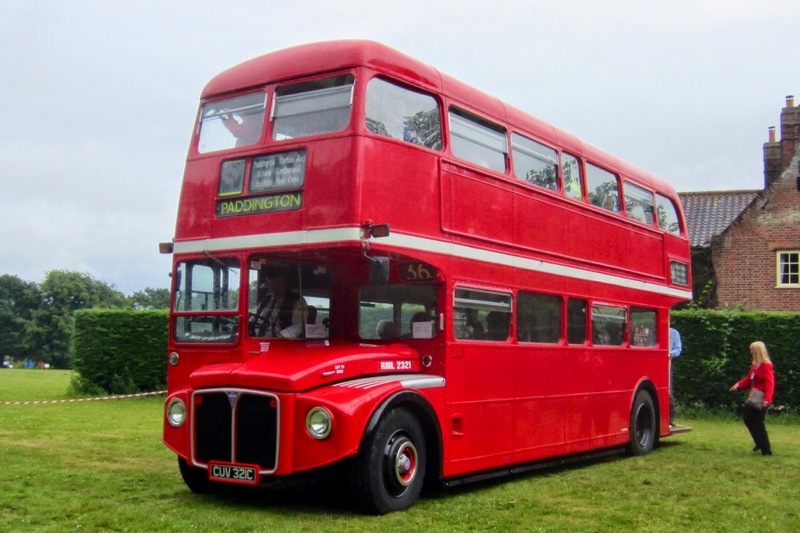 'Ipswich have gone up market for a few weeks; the last time we saw a coach as good as this was when we got our first RE coach back in 1966! Only kidding. This one is a 'booty',as she has a fridge! So you guys who like lemonade, forget it. Room only for FOSTER LAGER!!! ok lol.. Many thanks for the report and photo Jim - hope your are enjoying your lager on a warm day like today! 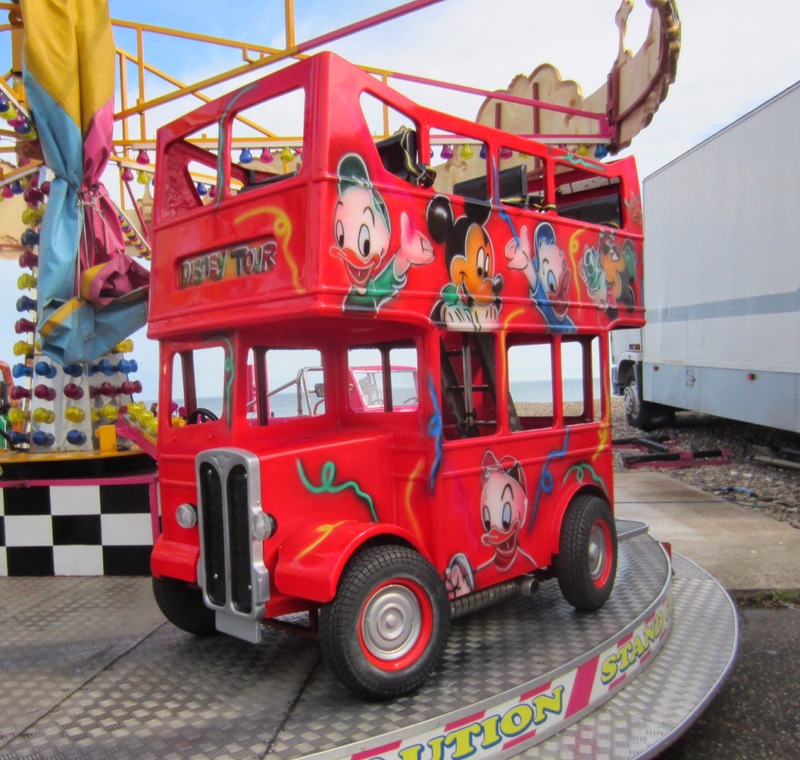 I started from South Beach Parade as sometimes there is the odd coach parked up south of the Pleasure Beach. I wasn't disappointed this time as one of Marett's Chariots was present. standby at Ipswich Railway Station today. 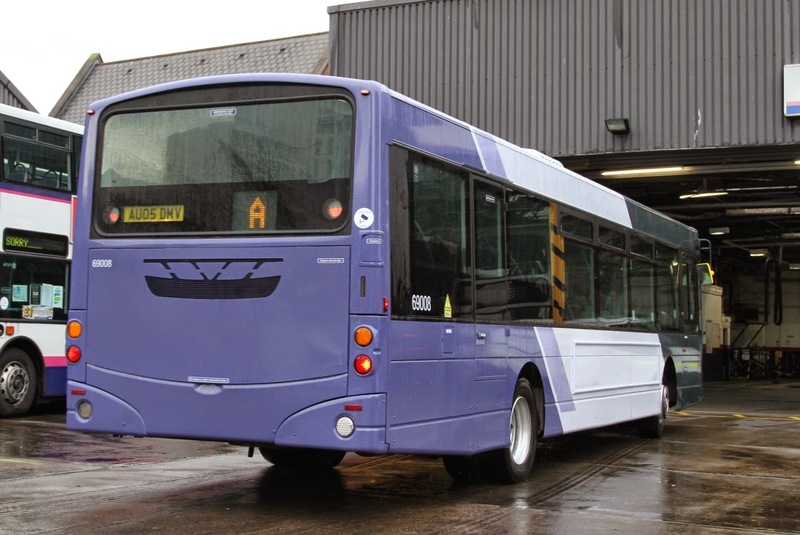 The footway and resurfacing works on Oak Road started on the 2nd June causing First's service 2 to be diverted from the estate to Crab Lane. 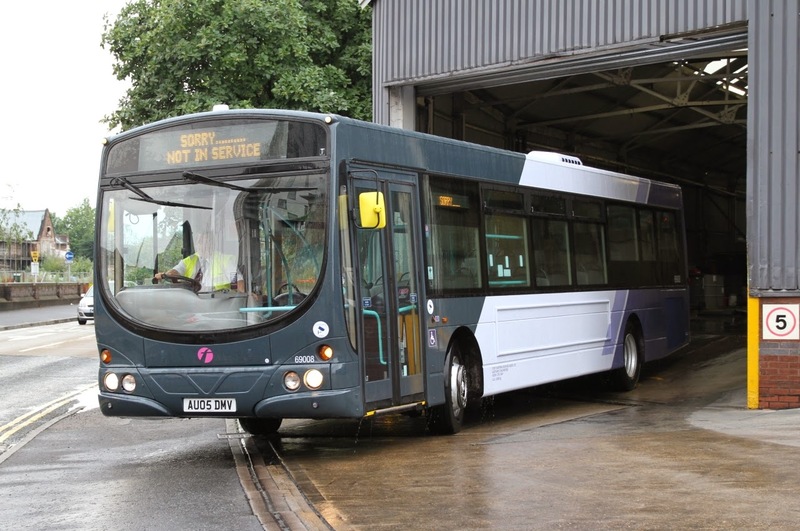 Information source: Traffic Commissioner for the Eastern Traffic Area - Notices & Proceedings Report 2183 - published on 9th July 2014.
workings and the second shows Michael Cole's ECW bodied VR 3325 JJT437N enjoying a shower at Holt. 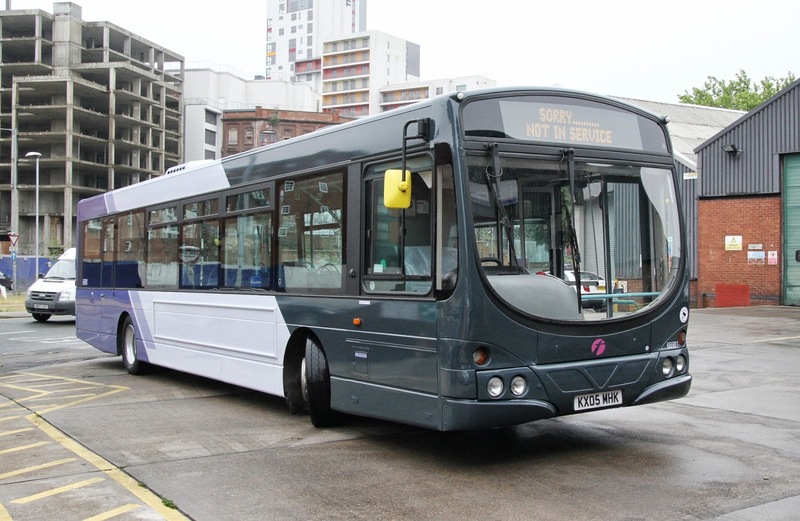 The latest vehicle to be repainted at First Ipswich is former Norwich based 69008, it returned yesterday evening to Foundation Street adorned in a new version of the current First livery with a Charcoal Grey front similar style to vehicles currently being treated at First Potteries although they are gaining Red fronts. 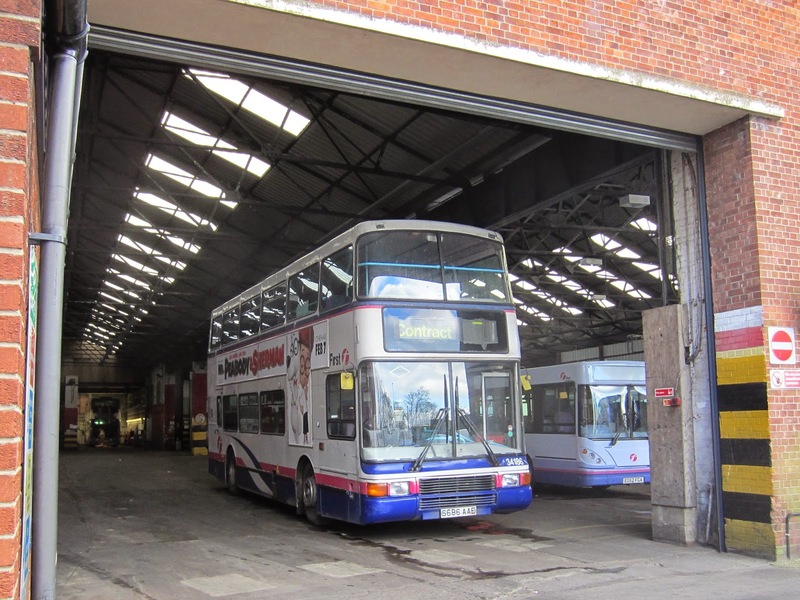 Former Norwich Volvo B7RLE, 66950 is next to north to Rotherham for refurbishment. 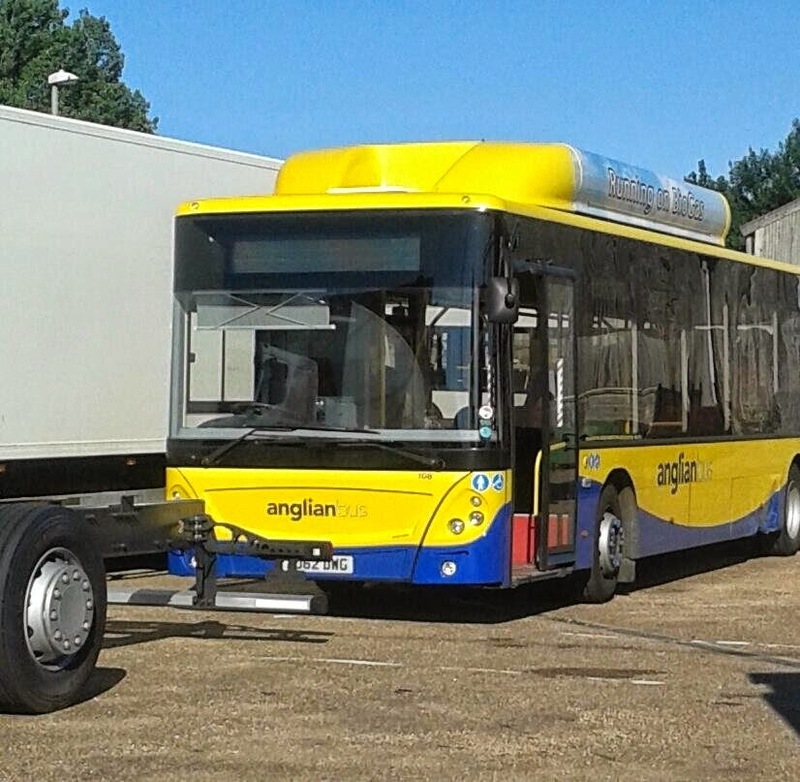 Our man on the spot at Ipswich, Jim Long was on hand to see 69008 arrive back in Suffolk yesterday evening. 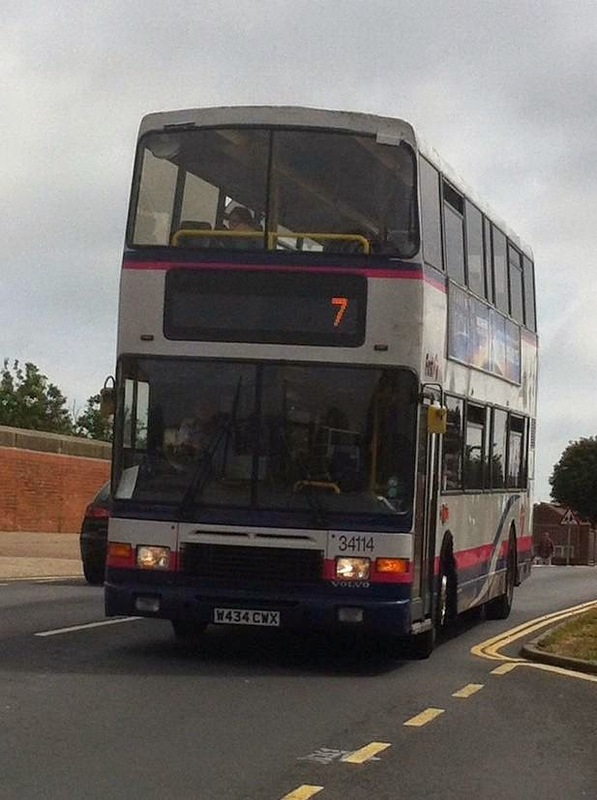 Ipswich are also expecting further B7RLE's from Norwich in the shape of 69006/69011 and 66957/66959. Also expected from Colchester are 66985/66986 (KX05MHO/MHU) with Ipswich's 69532/3 moving the other way. 'Although not yet published on Sanders' website, I picked up a timetable leaflet on a journey on Sanders service 34 last Friday, showing how they propose to integrate the former Neaves operations into their network. The changes take effect from 27th July and go further than expected from your earlier report on the VOSA notices and proceedings. 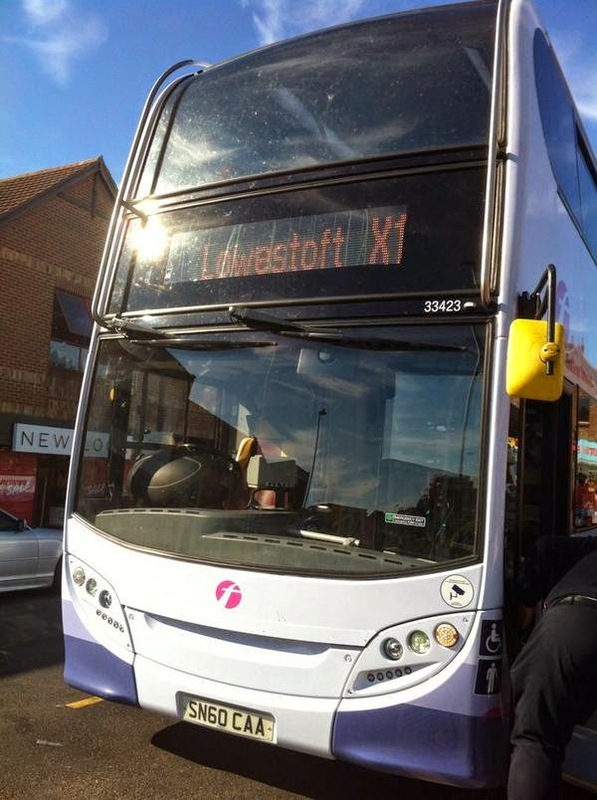 The most exciting development is the introduction of a new X11 service from Stalham and Sutton to Norwich, direct via Wroxham and Sprowston, on a virtually hourly frequency Monday to Friday, with some journeys omitted on Saturdays. 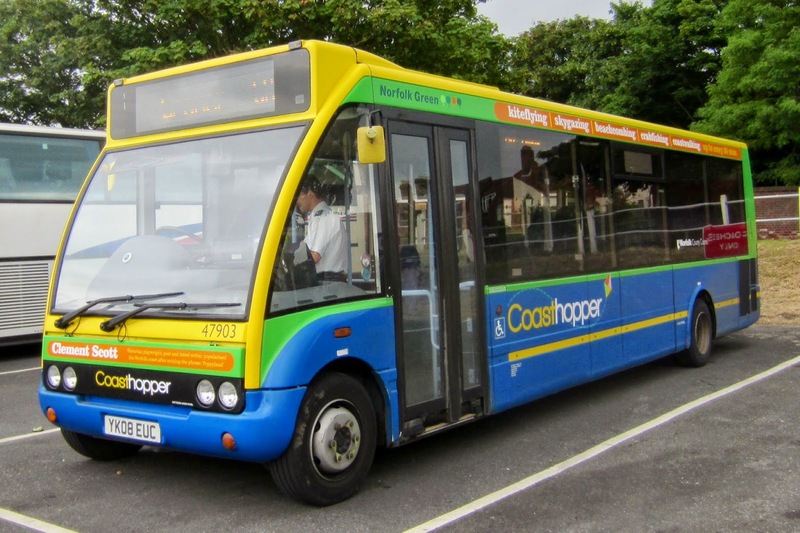 This replaces the very minimal service previously provided on this route by the former,Neaves 36 service. 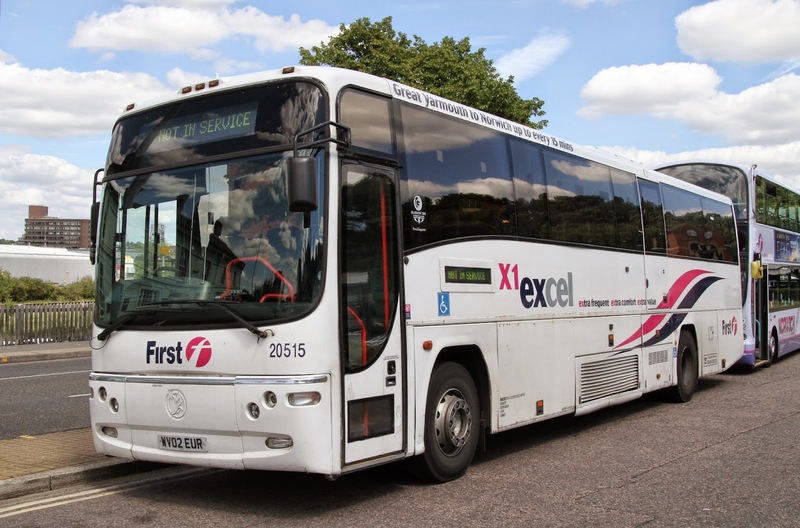 The X11 offers much quicker journey times from Stalham and Wroxham to Norwich than First or Anglian Bus, whose services divert via Salhouse and Dussindale Park en route. 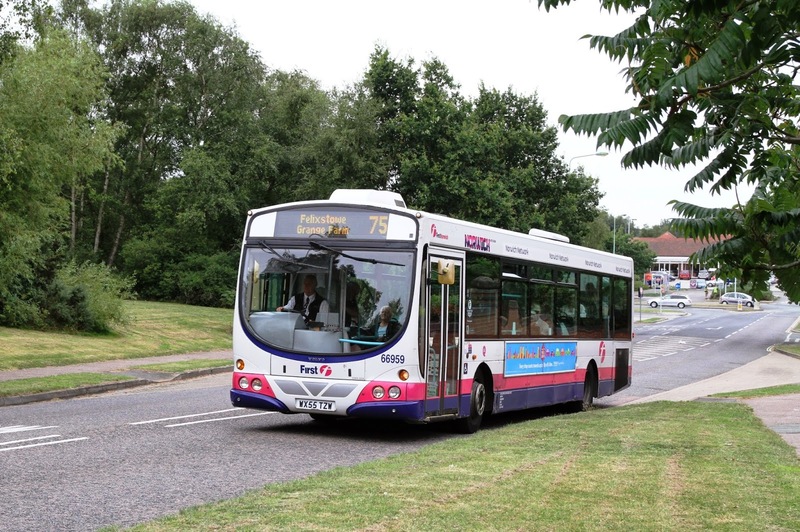 Occasional service 36 journeys remain from Stalham to Norwich via Smallburgh, Dilham, Barton Turf and Neatishead. 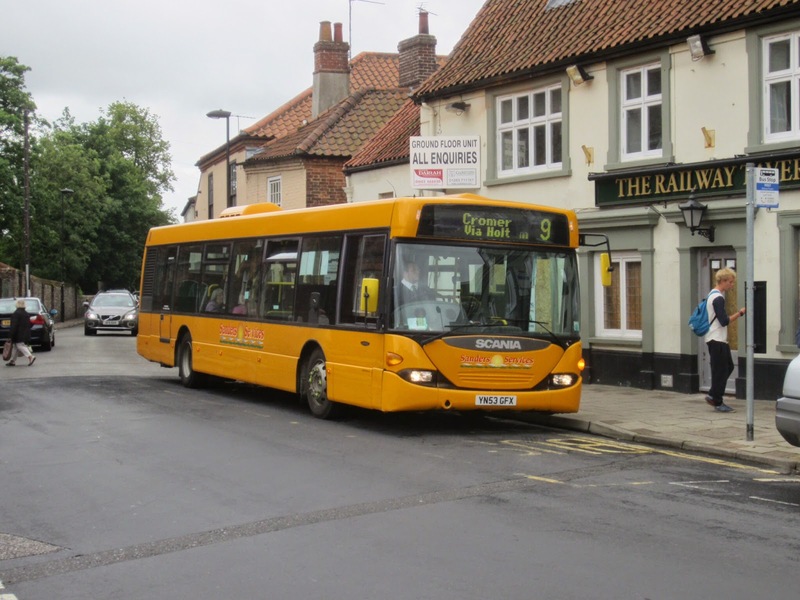 Service 34 from North Walsham to Stalham via the coast, has been recast to serve as a feeder to the X11, with some journeys serving Sea Palling and Hickling as previously served by Neaves. 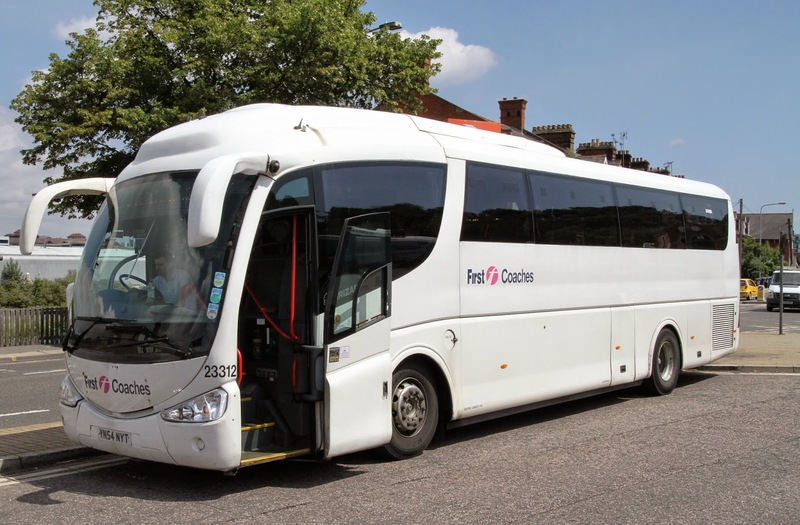 Total journey times from the coastal villages to Norwich, by connecting at Stalham, are significantly reduced and offer an attractive alternative to taking the car! 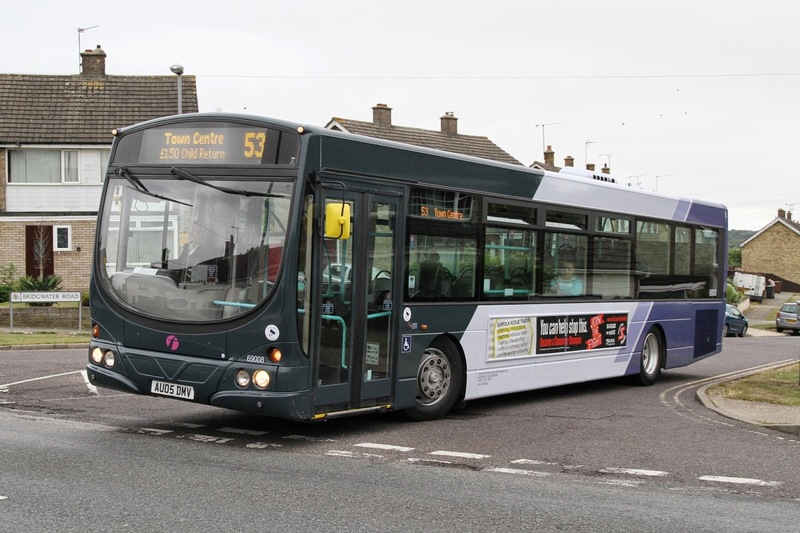 The recast 34 timetable also offers better connectivity at Stalham with service 6, to and from Great Yarmouth. This looks like a shrewd commercial move which deserves to succeed. 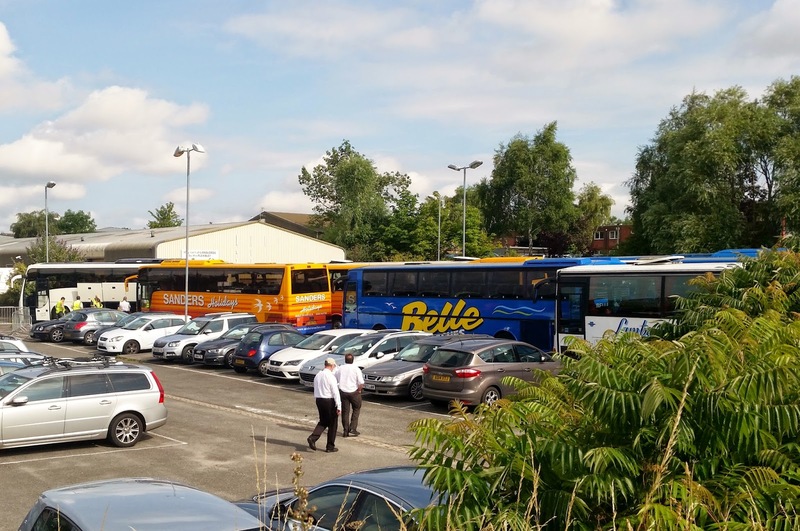 Sanders are to be commended on their recent growth by strategic acquisitions, their evident desire to compete effectively with the 'big boys', the rapid improvements in recent years in the presentation of their service buses and the comprehensiveness of their sevice network'. 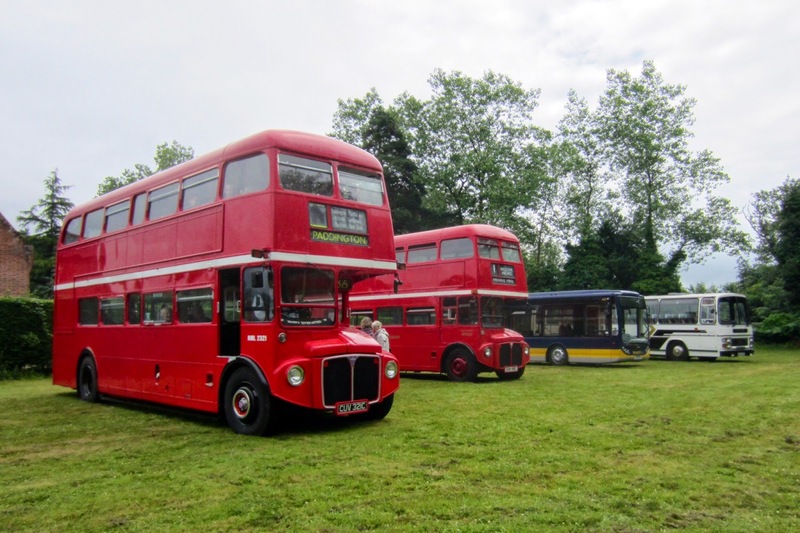 Jim's photo shows six of the AEC Swift's lined up in numerical order from right to left - one can only ask what happened to No 84! visit, Konect's open topper arrived in the light rain! 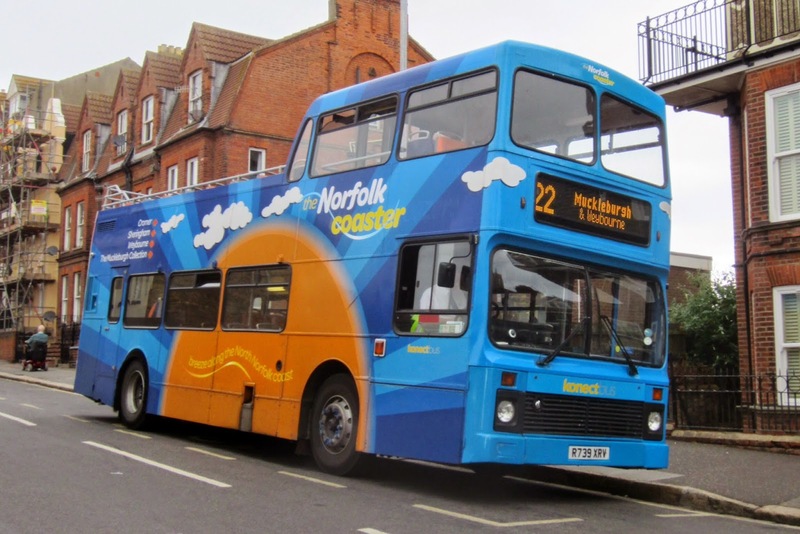 After a short time Volvo Olympian R739XRV continued on its next Norfolk Coaster circuit. 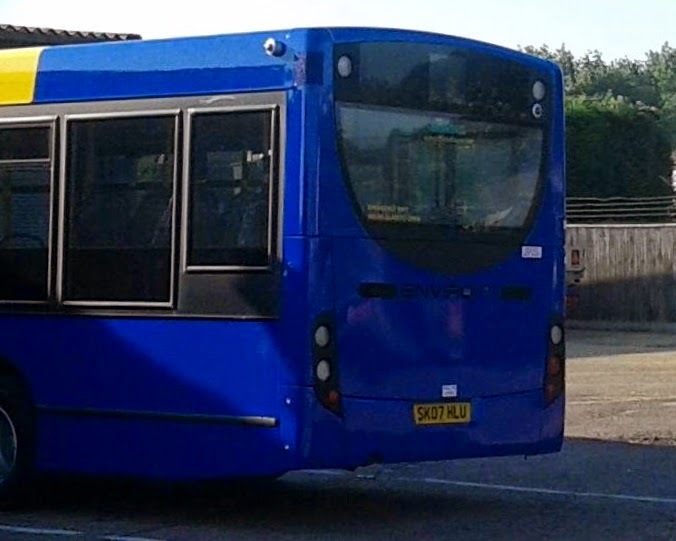 Within minutes Sanders 107 PM03EHR arrived on an X44 service. 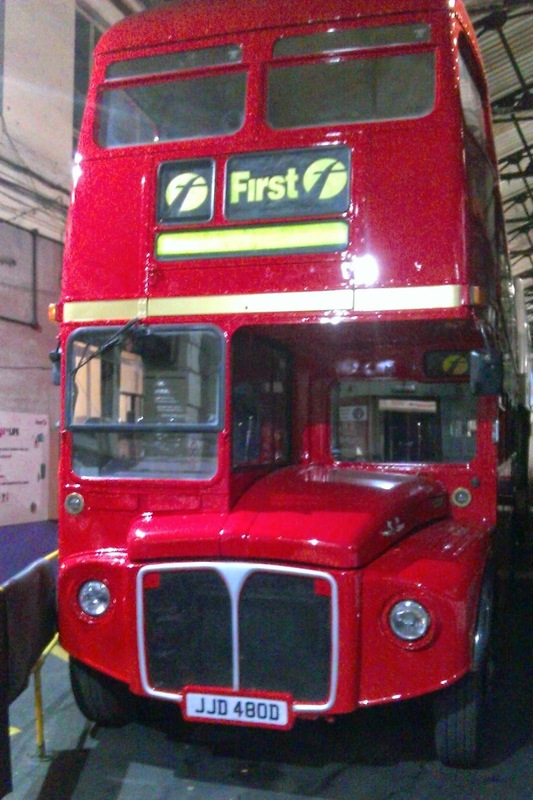 107 is one of two former Isle of Man deckers which entered service last month - the other is 108 PM03EJC. I think you will agree a very productive stop off - being in the right place at the right time! 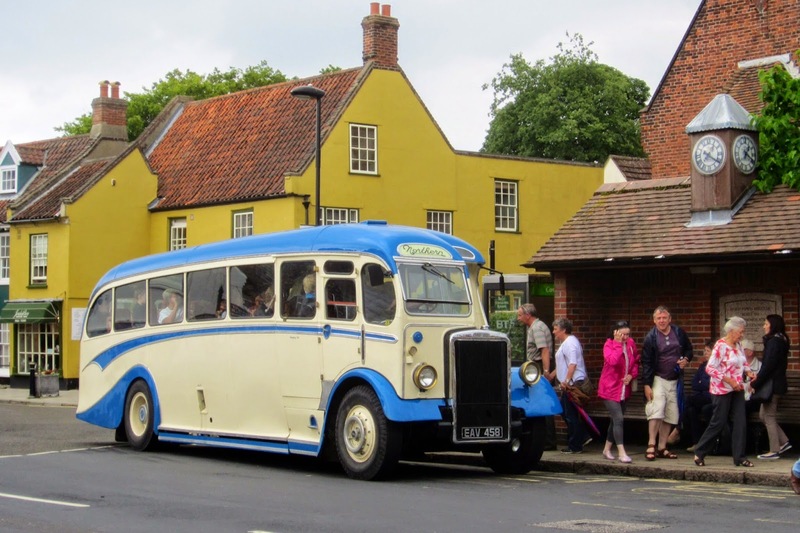 This weekend saw the North Norfolk Railway hold their Vintage Transport event. I initially planned to attend today but a family commitment meant that I had to change the visit to Saturday at the last moment. In excess of twenty vehicles were entered although not all were present on the Saturday. 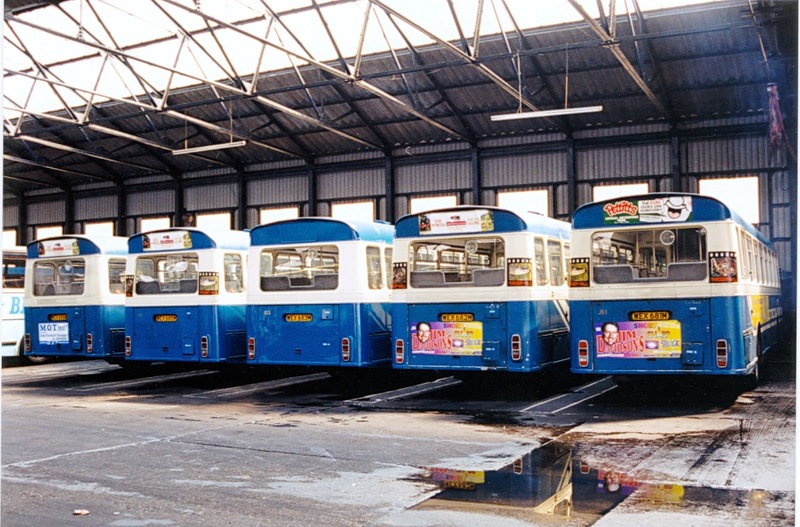 It shows the interior of Great Yarmouth's Caister Road depot showing a number AEC Swifts at the rear of the depot. The picture is undated and I would welcome any comments blog readers might have. Before starting this post, I offer my apologies for the minimum amount of postings recently appearing on the blog. This is primarily due to the failure of my PC to fire up and my iPad seizing up shortly after! 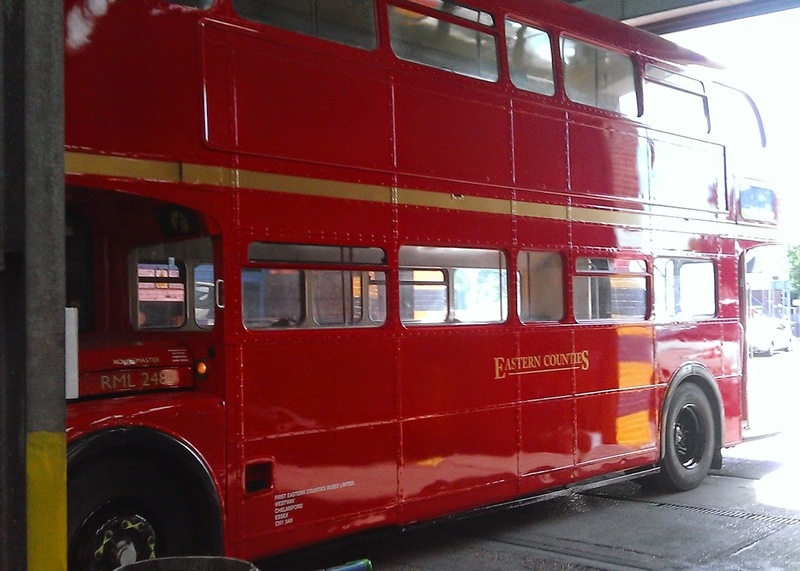 The former is being replaced by a brand spanking new version whilst the latter is now fully operational. Luckily things have been a little quieter than usual! 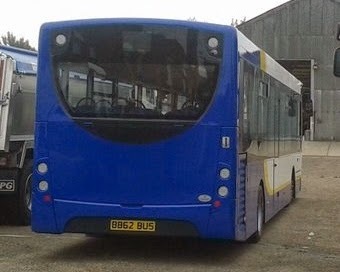 'Haven't really had the chance to get pictures but good to see Olympian 34108 W435CWX still out in service, I haven't seen 34186 S686AAE materialise yet though, so if it is roadworthy or not I'm not sure.. This morning I received another email from Jamie. Whilst going for his No 7 bus to Belton at the Magdalen Arms stop in Gorleston, he was passed by an Olympian working in the opposite direction. It was 34108 on the No 8 service to Caister via Great Yarmouth - Groundhog Day!! 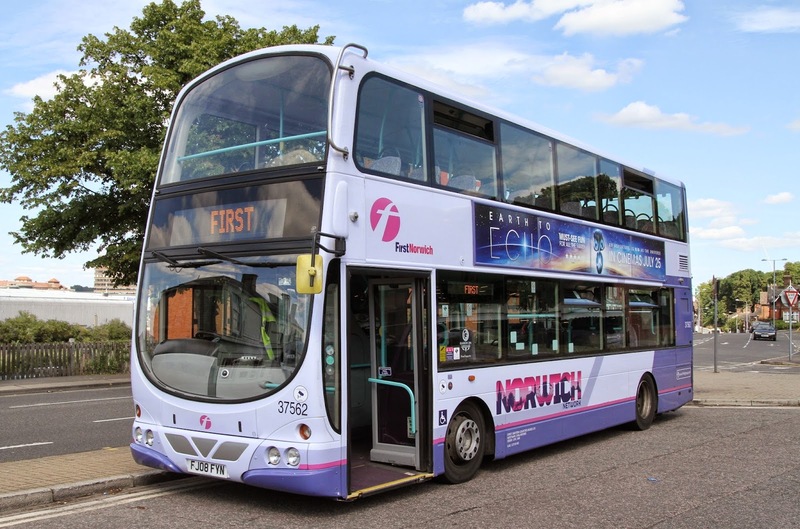 The current road works at Postwick on the A47 near Norwich, has meant that the service will run in two parts from Sunday 27 July 2014. As the road works are expected to last 18 months this change is being introduced as a temporary measure. Wright Eclipse Gemini bodied VolvoB9TL 37574 AU58ECY arrived at the hospital terminus with the 15:45 from Barrack Estate. 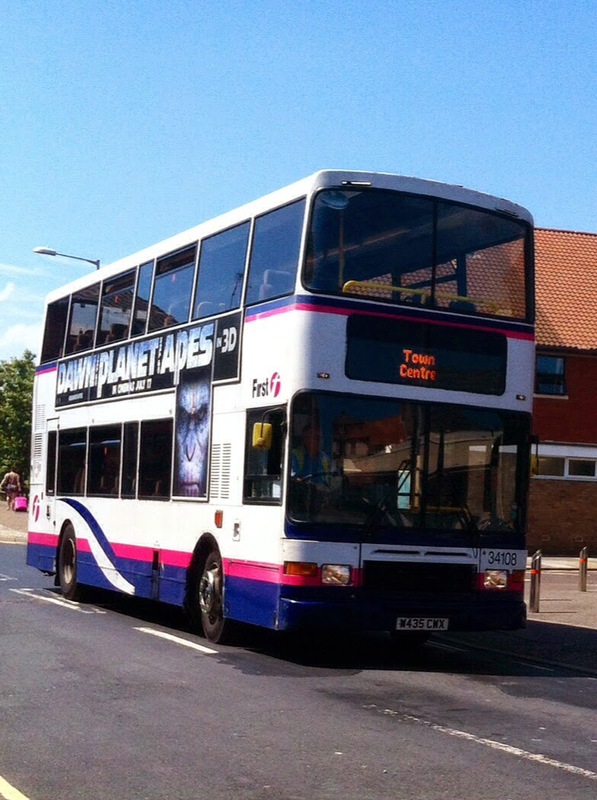 Shortly after Wright Renown 66126 S116STP arrived at the terminus with the next service 8 from Caister - usually a decker working!